As Manchester International Festival announce its full programme of events for 2017, Getintothis’ Adam Lowerson has all you need to know. Manchester International Festival has announced the full programme events for its 2017 edition, including performances by New Order, Ride, Bonobo and Colin Stetson along with many other music, arts and theatre events taking place across the city. The festival runs from June 29 – July 16. 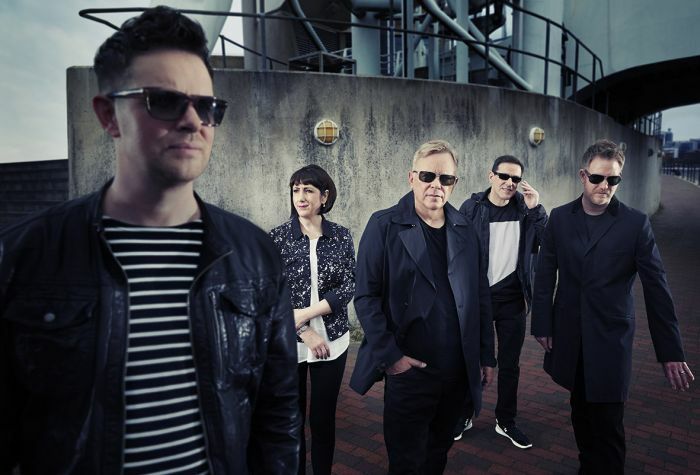 Mancunian heroes New Order will be performing inside a unique installation alongside a 12-piece synthesiser orchestra from the Royal Northern College of Music in collaboration with visual artist Liam Gillick and composer Joe Duddell at the Old Granada Studios on June 29, and July 1, 6, 13, 15. Of which all sold out in minutes. Other music highlights include shows from Ride at the Ritz on July 11, Bonobo at Manchester Cathedral on July 4, Sampha at the Albert Hall on July 5, Holly Herndon at Gorilla on June 30, Sunn O))) at the Ritz on July 15, and Colin Stetson at Gorilla on July 14. Elsewhere, a play focusing on Manchester’s industrial revolution created by Absolutely Fabulous actress Jane Horrocks will take place over a number of dates across the festival, plus the world premiere of Fatherhood, a show created by playwrights Scott Graham and Simon Stephens, and Underworld‘s Karl Hyde will take place at the Royal Exchange Theatre. Other events include an exhibition titled Manchester Street Poem by the Underworld‘s Karl Hyde telling the story of Manchester’s homeless, an exhibition on New Order and Joy Division, and eight immersive shows curated by Mary Anne Hobbs titled Dark Matter. A previously announced show at the Manchester International Festival sees Arcade Fire perform at the Castlefield Bowl on July 6. Full details for the festival can be found at the Manchester International Festival website. Next Article Eminem’s ever changing faces – will Slim Shady ever reach new heights?